yeah, i know the game has been out for a while already but i feel it deserves a review while im in the middle of my second playthrough. 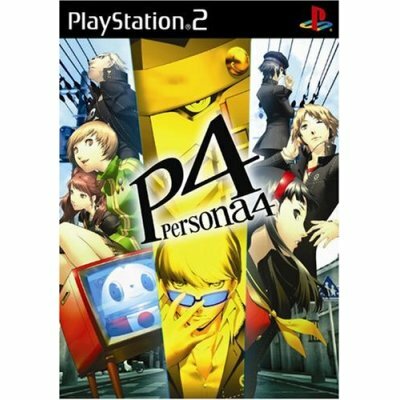 Summary (Taken from Gamefaqs.com): Shortly after an urban youth begins a year-long stay in the countryside town of Inaba, the rural town's peace is shattered by a horrific murder that leaves no clues or suspects. As the lone incident develops into a series of bizarre crimes, he discovers that only he and his friends have the power to solve the baffling case, bring those responsible to justice, and restore harmony to his new home. My Review: Long Story short, one of the best RPG's ive had the chance to play. There is a great plotline and on top of that, it has a good battle engine to it. Best of all, the game is able to give you a slice of life as you try to live the life of a normal High School student while fighting evil at the same time. Its like you make the game what you want it to be (though you do need to go into dungeons by certain days or its game over). "though you do need to go into dungeons by certain days or its game over" - probably the weirdest thing haha. Awesome, looks like I might have to check this out! lol, more like if you dont save who you need to save itll be game over. its an interesting concept since the game incorporates everyday life with the classic RPG fighting. almost like combining a dating sim with an rpg. I commend your effort but there really isn't much information here. You kept your review short which is good because most web browsers don't have a lot of time. However the information you included isn't exactly informative for one wondering whether or not they should purchase this game. You say this for example: "My Review: Long Story short, one of the best RPG's ive had the chance to play. There is a great plotline and on top of that, it has a good battle engine to it. Best of all, the game is able to give you a slice of life as you try to live the life of a normal High School student while fighting evil at the same time. Its like you make the game what you want it to be (though you do need to go into dungeons by certain days or its game over)." You say it's one of the best RPGs you've ever played but you don't say why. Also, without actually citing the RPGs you've played in the past, heralding P4 as the best doesn't do anything to make it more appealing for the consumer. You say it has a great plot but you never explain "why" the plot is so great and you certainly don't go into anymore detail than what gamefaqs did. You don't say anything about the battle system, gameplay, characters, music, or what have you. You simply rattle off a list of the things you like but you do not say why you like them. I'm sorry. It is not my intent to troll you. I've written reviews in the past and this, this is not a review. So while it was not my intention to troll you I wanted to at least point out a few of the things in your "testimony' and explain why it is not a review. Don't you realise this is an ancient thread? And the user probably aren't here any more. If you want to critique a review, then I will have one right up in few minutes.